Traveling has to be one of my favorite pastimes - especially traveling to one of my favorite cities to see some of my favorite people! I have loved Nashville since my very first visit in 2008 for the Technology Student Association's National Conference at the Opryland hotel. Since then, I've gone back time and time again and explored the music city and it's many attractions. The thing is, no matter how long I stay there I never get bored! Nashville is known for its abundance of activities and a lot of these are free or cost very little. Nashville most recently beckoned me to visit because my favorite bands were coming together there for the Outcry Tour. Hillsong United, Kari Jobe, Passion Band, and so many more on stage for one night in the Bridgestone Arena - how could I miss it? I actually heard about this concert months in advance and immediately texted my Nashville favorites (consisting of my boyfriend Phillip's mom, sister, and sisters-in-law) to see if they wanted to come and make it a girl's night (which of course they did because they're really awesome). A girls night turned into a two-day affair when we also decided to do brunch and the Frist the next morning. After a short 2.5 hour drive we arrived in Nashville and I headed to dinner with the girls. We went to this adorable little trendy place called Pinewood Social for dinner. The food was incredible but the atmosphere is clearly the draw of the establishment - which acted more like an all-inclusive hangout space than a restaurant. With amenities like a bowling alley, karaoke, and a pool, Pinewood Social could've easily been an all day experience if we didn't have plans for the concert that night. We enjoyed our meals and decadent cast iron cookie dessert before moseying on to the concert. It was loud, it was long, and it was amazing. 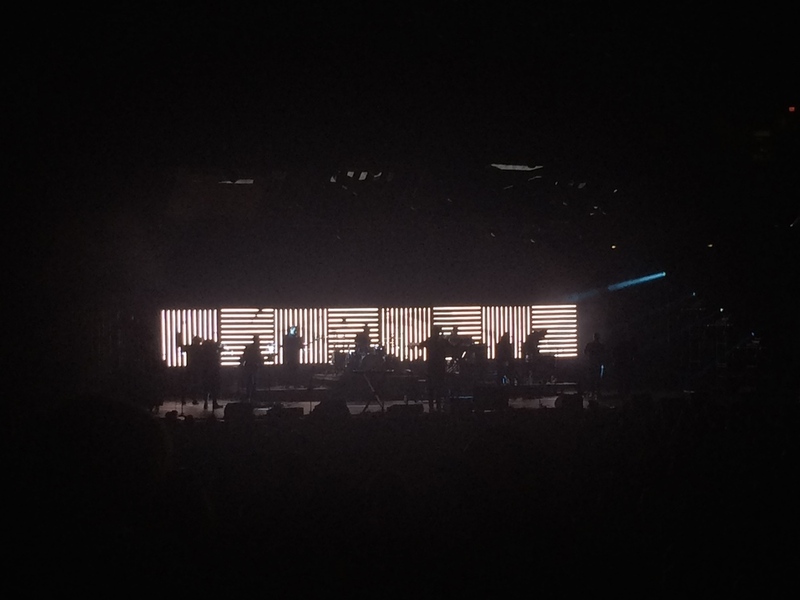 To finally see my favorite band - Hillsong United - and hear the music that inspires me daily is not something I will soon forget! The next morning the whole Johnson crew and I made our way to Nashville's best brunchery (made up that word and totally sticking with it), Biscuit Love. Biscuit Love Brunch is something I've wanted to try since my Phillip's brother, Adam, told me all about it. Adam is close friends with the owners and is a chef himself, so when he said we had to try brunch here I had no doubt the food would be incredible. There was already a line out the door when we parked but it moved quickly thankfully so we didn't have to stand in the sun for very long. Adam says unless you get there early, there's almost always a long line. Phillip and I ordered one of everything... Or at least that's the way it looked when the food got to the table. The bonuts, biscuits, bloody mary's and Benton's bacon covered half the table but almost every bit of it was devoured minutes later. Erin, Carli, and I left the boys for the Frist after brunch - which seemed as good a place as any to walk off some bonut calories. Their big exhibit on Italian Style was calling our names! The exhibit was like a historical walk through a high-end fashion show. I couldn't take any pictures of the dresses and clothes, but if you're going to be in the Nashville area before September 7th you should definitely check it out. Admission is only $12 for 18+ and $9 for students and seniors. Also, 18 and under get in for free! We left the museum full and sleepy so the only logical thing to do was get coffee before we rejoined the rest of the Johnsons. Erin and Carli have been telling me about Crema for the longest time but I never seem to make it there when I visit. It did not disappoint. I got an iced coffee with coconut almond milk and vanilla syrup. It was rich and creamy and so very satisfying in the 95+ degree weather. I almost can't believe that everything in this post happened in only two days. In a lot of cities it just isn't possible to do so much in so little time and not feel rushed. I'm very glad I live so close to a city where it is! This Nashville trip was just the beginning of my vacation. Stay tuned for the recap on my annual beach trip with my bestie and her grandma!